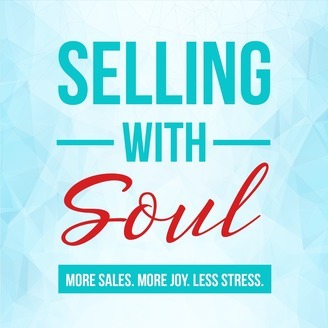 The Selling With Soul podcast is dedicated to helping you grow your sales and build a business that changes your life and the world. Each week we discuss new sales and revenue growth strategies, we demystify sales concepts and we develop sales skills through master classes and expert interviews. Because if you want your business or your territory to reach its full potential then the ability to authentically and consistently sell is critical. 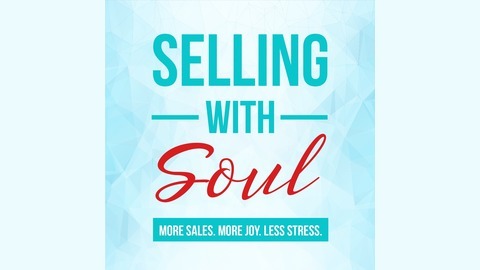 We dive into all things sales including: new trends and the fundamentals in business development, lead generation, pipelining, closing techniques, outbound, cold calling, social selling, overcoming objections, inside sales, enterprise sales, psychology and so much more. Host Meredith Messenger, MS, is a Revenue Coach and Sales Consultant offering strategy, sales training and sales team building to start-ups, small and mid-sized companies. An entrepreneur, successful sales expert and leader who is passionate about putting the human touch back in sales, she has ongoing, first hand experience in growing a business and a territory. Meredith specializes in helping female entrepreneurs and sales adverse individuals develop their revenue strategies, unique sales voice, skills and confidence so they can sell with grace, ease and joy. 05:45 - How sales saved Weldon's life. 07:43 - From prison, to the homeless shelter, to salesman. 12:48 - "We attract that which we fear." 16:01 - How can a thought show up in your life? 19:58 - You don't have to believe everything you think. 26:19 - The most important pieces of the sales process. 30:41 - Do you even know what you really want? 34:33 - What does sports have to do with sales? 40:22 - The implementation problem. 44:07 - The power of responsibility. 46:57 - Be aware of the role you play. 50:27 - Peeling the onion.